Home › Independence › Can You Have a Guide Dog If You’re in the Philippines and You are Blind? Can You Have a Guide Dog If You’re in the Philippines and You are Blind? What is a guide dog anyway? Is it a specific breed? If you’re in the Philippines, Where do you get a guide dog? What do they eat? What’s the difference between a guide dog and a regular breed? Those questions will have answers in the following sections of this article. According to my installed dictionary, “A guide dog is a dog trained to guide a blind.” Sounds amusing? Actually, a guide dog is not just capable of assisting the blind but it can also give love and affection. Sounds romantic? Seriously, when you try to interact with a guide dog, you will feel the mystery of the intelligence they have, and also the unbelievable things they can do. Like helping people with disabilities; blind, hearing impaired, stroke patients, those who have seizure, those who can’t walk and other illnesses. Also, you’ll be amazed when you hear stories of survival in those emergency situations involving dogs. 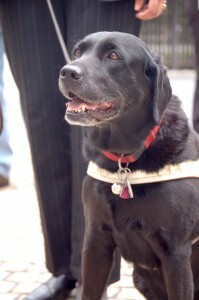 In short, a smart dog is a candidate for being a guide dog for the blind! What are the other characteristics I’m talking about? In any field, size does matter. Imagine you are walking with your Chihuahua along the street, and a bigger dog suddenly appeared, what do you think the poor Chihuahua’s reaction would be? 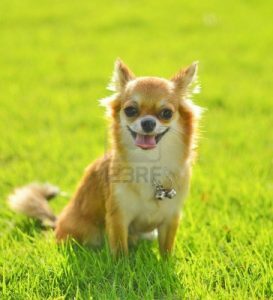 For those who are not familiar about this dog breed, here is the link where you can find some information about Chihuahua. Let us reverse the situation and say, you own a giant breed and this Chihuahua is suddenly seen by your guide dog, what will happen? The answer should be “nothing”. Why? Because a part of a dog’s training when doing this kind of task is to observe discipline all the time and focus on whatever he is told to accomplish and that is to guide his owner! So the conclusion is, it would be better if you choose a breed that is not easily intimidated during his work. But the next question is, what are the breeds available for this type of job? Number one on my list is Labrador Retriever! Why? Because I own one Labrador and I would say that this breed is definitely one of the smartest breeds. And also it is according to some articles regarding guide dogs on the internet and as suggested by some authors of the popular books about dogs. But there are different rankings on who the smartest is and these rankings change almost yearly so the number one on the list isn’t always the number 1. But because this breed is so easy to train, it’s enough for him to get the reputation as being the number one choice for guide dogs. Next is Golden retriever. 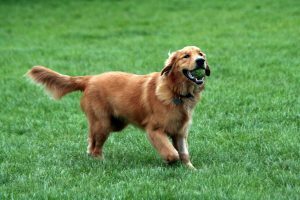 There are many similarities between Golden Retriever and Labrador Retriever. Because of their size, they are intimidating to humans and other dogs, but still, they are very effective and fun to be with. The number 3 is the guard dog German Shepherd. 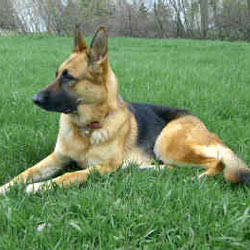 Yes it is more famous as a protection dog, but there are people who use it as their guide dog. Again, discipline not size. Apology but pollution in the city also? But for example our cities are not polluted, are not congested and the citizens are aware, is it possible now to have guide dogs in the country? Aww still no I’m sorry… Because, as far as I know, you won’t be able to find one school for guide dogs anywhere in the Philippines. My suggestion is, you can still own any of those breeds I mentioned above, but to train it to be a guide dog is another issue. Joey is a blind blogger based in the Philippines. He knows HTML, CSS, PHP and WordPress. He loves to blog, that's why he created this website. He wants to help his community. At the same time, he also wants to improve his writing skills. ‹ Blind Singers are Sometimes Better than Sighted Singers! Do you know if someone visiting from the U.S. can bring their seeing eye dog? The airline said it is no problem for them, but I don’t know how to find out if there are immigration/customs issues of bringing dogs into the country even if only for a couple of weeks. Hello. I think this link is exactly what you want. I have witnessed an nasty incident this weekend at the Robinsons Place in Dumaguete. A blind foreigner with his guide dog was refused entry to the mall because of his dog. What followed was an argument between the blind man and the security guard. The blind man was handcuffed and the police was called. I was shocked by the insensitivity of those security people. After that I did a Google search on guide dogs in the Philippines. That took me to this site. I have pictures of the incident. Yes it’s very sad news. To me, they should have allowed the dog. Because while it is still an animal, the difference is it is now a trained animal. Anyway, the issue is now a trending topic on PWDs Facebook groups and pages. If the information I got is correct, a representative of the mall is already looking for a person/organization who can give a sensitivity training for their staff. This is a very good move I think. Thanks for the comment. 1 Pings/Trackbacks for "Can You Have a Guide Dog If You’re in the Philippines and You are Blind?"